For this month's Cottage of the Month, we've selected "Raithby Hall". Raithby Hall is such a fine hall; in such a lovely location, we just had to give it a special mention! Oh, and Raithby Hall is big; sleeping 33 people in 16 bedrooms, Raithby Hall is the place to come for a special gathering of friends and family. Boho Wedding Suite: king-size bed and en-suite with shower over bath, and toilet. Indian Wedding Suite: four poster king-size bed and en-suite with shower over bath, and toilet. Oriental Bedroom: four poster king-size bed and en-suite with shower cubicle and toilet. Indian Travels Bedroom: king-size bed and en-suite with shower cubicle and toilet. Tree of Life Bedroom: with king-size bed and en-suite with shower cubicle and toilet. Bijoux Bedroom: double bed and en-suite with shower cubicle and toilet. Klimt Suite: four poster king-size bed and roll-top bath. West Wing: with four poster king-size bed. Royal Room: with king-size half-tester bed. Bedouin Tent Room: 3 single beds. Psychedelic Bedroom: circular emperor bed and en-suite with shower cubicle and toilet. The Boudoir: king-size bed and en-suite with shower over bath, and toilet. Captain’s Cabin: with king-size bed and en-suite with shower over bath, and toilet. The total number bathrooms at Raithby Hall is 12. You have a couple of living rooms: one has a TV and DVD player; with room living rooms having an open fire - the fuel for the fires is included. You have a dining room, with the tables converting into a pool table too. The kitchen has an electric range, microwave, fridge/freezer and a dish washer. With a washing machine and tumble dryer in the utility room. The 8 acres of grounds includes a patio, terrace and outdoor furniture. You have a boat house next to the lake, which also has a terrace for a spot of entertainment down by the lake. Around the area you'll find the pub, restaurant and shop closest to Raithby Hall in Spilsby, 2 miles away. Skegness and the east coast is 14 miles from Raithby Hall. The Lincolnshire Wolds make a nice place to visit too, with Raithby Hall being on the fringes. The cathedral city of Lincoln is 29 miles from Raithby Hall. 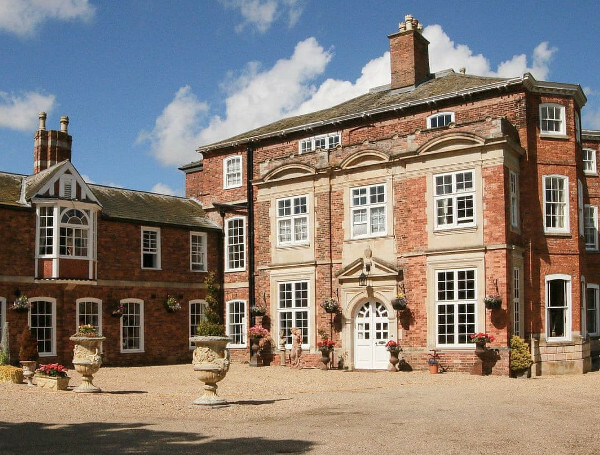 Should Raithby Hall not be to your liking, but you fancy staying in the area around Lincolnshire, you might well be interested in the cottages below. All these cottages are within a few miles of Raithby Hall.